Ladies, listen up! 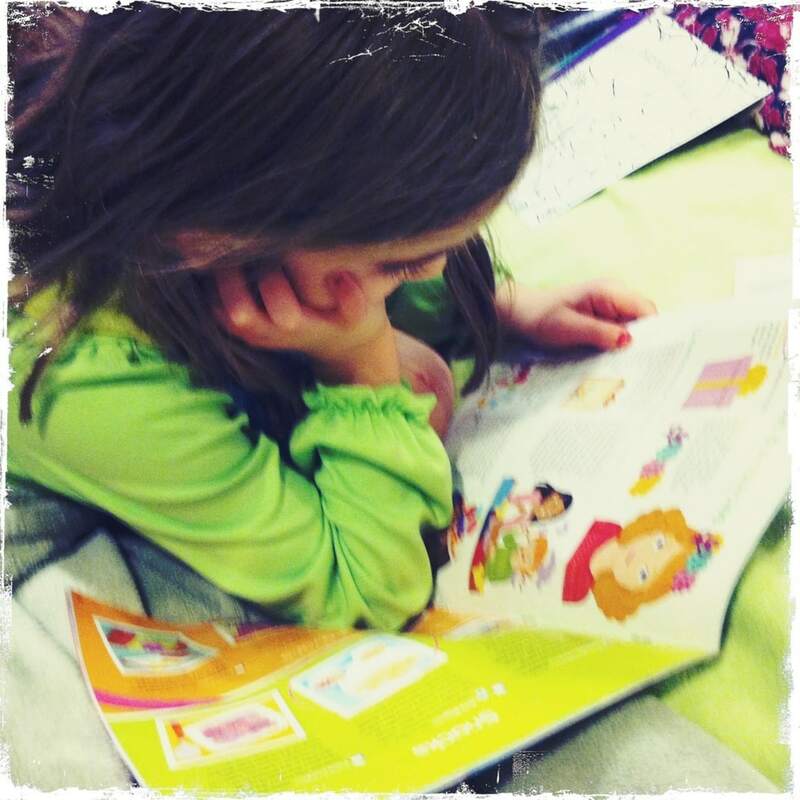 My daughter is flipping obsessed with the American Girl Doll Magazine. She quite literally ripped it right out of my hands last night. At 8PM, she was showing me arts and crafts projects she wanted to start and I kept telling her it was time for BED. Just a little heads up. If you have an upcoming birthday party / holiday and know of a little girl who likes arts and crafts, fun reads, games and more… this is THE GIFT. My daughter is 7 and is as happy as can be. She wouldn’t even look up to take the picture!! She was completely INVESTED in the articles. Bill and I were cracking up. 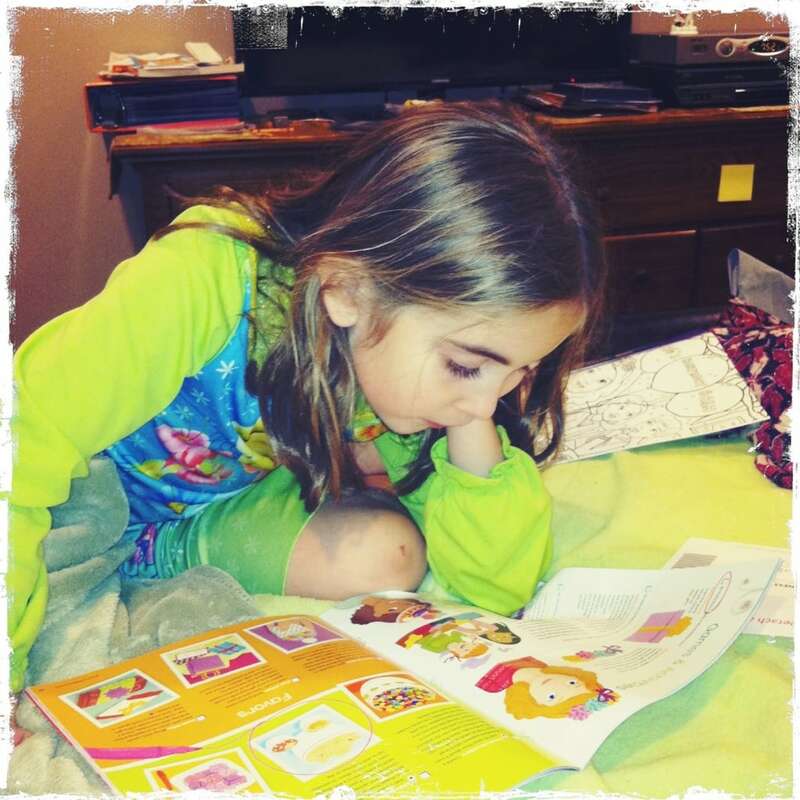 Want to get your daughter / granddaughter / niece on the cover of the American Girl Doll magazine? They are holding a contest and I just had to share the details! 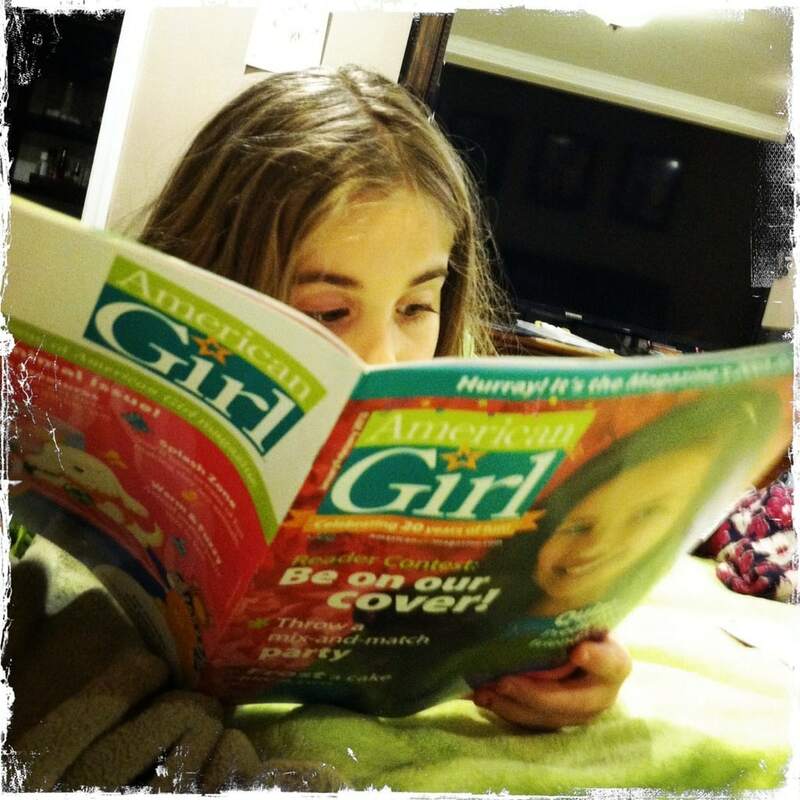 Girls ages 8 to 13 can enter to win a chance to appear on the cover of the 2013 Best of AG special issue of American Girl. The contest centers on friendship, and to enter, two girls can submit the story of their unique friendship. One pair of friends will be selected to be on the cover! AHHHHHHHHH Can you imagine? Natalie would implode. She isn’t old enough unfortunately. But we are so there next year. For more information, visit AmericanGirlMagazine.com or call 1800-234-1278.